[review-ing] Konjac Sponge Kulit untuk halus dan bebas cela. 5 bulan lepas, kita ada beli Konjac Sponge dekat Sasa and dah janji nak buat review pasal sponge ni. Tapi kita asyik terlupa je (>_____<)" sorry. So this time kita nak tunaikan janji kita. Korang mesti tak tahu Konjac Sponge tu apa kan? Mula-mula dulu Lin pun tak tahu. Lin tahu pasal Konjac Sponge ni time tengok vlog BeautyQQ, bercakap tentang "How to Remove Whiteheads" [sebab dulu Lin ada masalah whitehead]. Lin tengok banyak review, and dapat banyak feedback positive tentang Konjac Sponge ni. Teringin nak beli, tapi tak tahu dekat mana. (+______+)" Then Lin jumpa ni dekat Sasa, apa lagi, mak grab la 1. A naturally moisture rich plant fibre which is by nature alkaline, and thus balances the acidity of the skins impurities and oils. The unique net like structure of the sponge, gently massages the skin and stimulates blood flow and new growth of skin cells. Leaving the skin extremely clean and refreshed…..naturally! No need for additional cleansers or soaps unless you really want. Should you chose to use additional cleansers or soap, you can use a fraction of your usual amount, as the sponge will generate more bubbles and spread the cleaner further than usual. Better for your skin, better on the environment and your finances! Before use, wash the sponge thoroughly. We recommend plunging it in water and squeezing several times. If the sponge has dried out, always allow it to fully absorb water before putting against your skin. Gently massage the face and body in circular motion all over, to exfoliate dead skin cells, and deeply cleanse. The massaging will stimulate tired skin & encourage skin renewal. Soap or cleansing solution can be added to the sponge if desired, but is not necessary. Your sponge should last between 1 and 3 months, depending on how well you treat it, but once it starts to look tired, or starts to break down. Please replace it. The better care you take of your sponge, the longer it will last. For extended longevity of your sponge, always squeeze out excess moisture after use and allow it to hang in an airy place to dry. Never store it inside the shower cubicle. A damp environment will shorten its life and allow this natural product to start to decompose! Do not wring, as this may damaged the sponge. Sponge hardens when dry, so always re-hydrate in warm water before use again. Discard if damaged. Can be composted after you have finished with the sponge. Feel free to pop in the bottom of a plant pot after use or dig into the garden! The sponge will help water your plants by holding the moisture for it! How long will the sponge last? We get asked this all the time! The average is about 3 months, but that depends on use and care. Hang to dry, rinse everytime its used and don't wring it, for maximum life. Can I sterilise the sponge? Yes, feel free to boil the sponge for a few minutes in a pan of boiling water if you want. Perfect for beauty therapists who want to reuse the sponge on their clients. Is it suitable for anyone? Yes! Its excellent for all skin types and for children. Our Clay and Charcoal range means you can tackle more specific skin problems or types. Perfect for problem skin, dry, skin, oily skin and spot prone skin. Shaving Rash? Shaving strips away the top layer of skin. Sooth and cleanse with the sponge, to prevent further damage with additional cleansing methods. Childrens hair washes, can this help? The sponge is perfect for washing the children’s hair! As no big sploshy cups of water to pour, and you can gently squeeze the sponge over the childs hair to wet and rinse. Is a Konjac Sponge suitable for the elderly with thin skin? Most definitely! Elderly people frequently suffer from thin skin which breaks and tears easily. The sponge is perfect as it is so gentle and will not dry out or damage the skin. Acne, is the sponge beneficial? Yes, again, it will certainly help. By gently but deeply cleansing, the sponge will remove the impurities that are causing the spots, and help remove infection. We would recommend our Charcoal Bamboo sponge for this problem. Eczema sufferers, is the sponge safe for them? 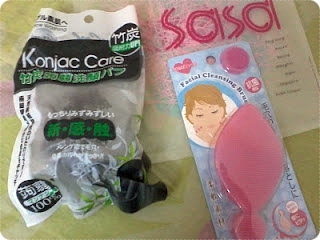 Yes, the sponge is fantastic for problem sensitive skin. There are no chemicals and no impurities, so no irritants. We would very highly recommend the use of the sponge for all skin conditions such as eczema. Is it suitable for a newborn? Yes, very definitely. Nothing to irritate, and better still, no need for any other cleansing solution, shampoo of body wash for baby unless you really wantt! In fact even if you do decide you want to use a bath wash, you can use far less product, so no need to dry or irritate babies skin with a product that will strip delicate skin of essential moisture. In-Grown Hairs? Will a Konjac Sponge help? Yes, wash daily with circular motions with the sponge, skin will feel softer and dead skin cells will be removed, giving the hairs under the skin a chance to come through rather than getting stuck underneath tougher skin and cause ingrown hair problems. How frequently should you use the sponge? Every day. Make the sponge your part of your daily regime. Simply use the sponge morning and evening, just whenever you would wash or cleanse your face. Switching your skincare regime. Simply switch over from cleansers, cotton pads, flannels, or whatever else you use! You can switch just once a day and keep your old cleanser on for the second cleanse of the day, or use the sponge with a facial wash if you want too, but you can simply use water alone, for great results! When we discovered this product, we stopped all old skin cleansing methods, and now use just water and the sponge, nothing else, just the usual moisturiser afterwards. We have all noticed a vast improvment in the skin! No more tight or dry skin, less spots, skin feels quite simply flawless and smooth. Banyakkan benefit dia? Lin nak terus guna Konjac Sponge ni. Kawan-kawan try la. Nanti share dengan kita result OK? Huhuhu. "Salam. Hi. I'm "Mak Lin". Lifestyle Blogger from Johor Bahru since 2011. 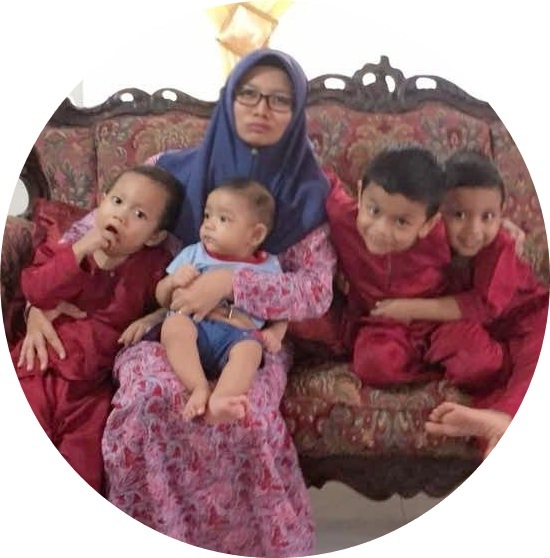 Ibu to 4 superheroes; Adam, Iman, Fateh and Yusuf. WAHM"
Tahniah Kepada Semua Pemenang Anugerah Meletop Era 2019! Nasi Safron Ayam Mudah Dan Sedap.